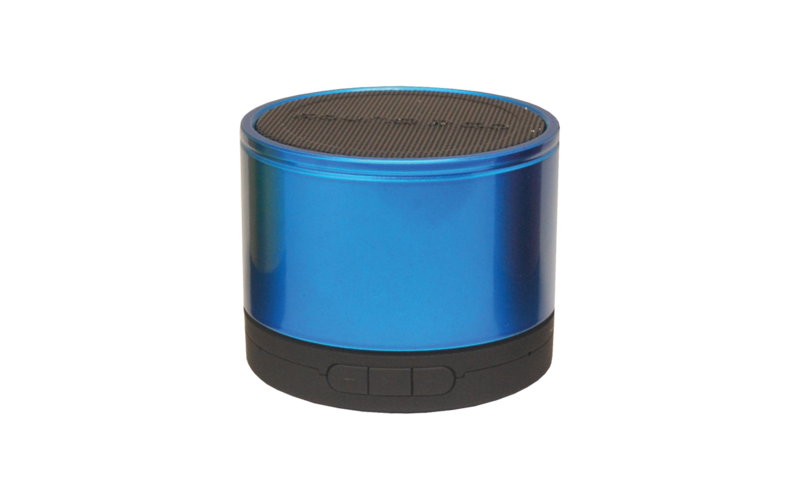 The ColourBass is the ideal active battery loud speaker for the “to go” generation. Five centimetres high, six centimetres in diameter and just over 200 grammes heavy, those measurements make it a really mobile loud speaker. After three hours of charging, this small speaker provides up to 8 hours of music. This can be played in via cable and the Aux-input or even more comfortable via a micro SD card, creating an exciting solution for on the go that needs no smart phone.